The ecosystems of the regions with Mediterranean climate are particularly rich in fauna and flora, constituting biodiversity hotspots. The montados form heterogeneous habitats, with a “mosaic” of uses that vary from one area of forest to another, usually with varying ages and heights, zones of pasture lands or agriculture, with varied tree density (from 30 or 40 trees to over 100 trees per hectare). 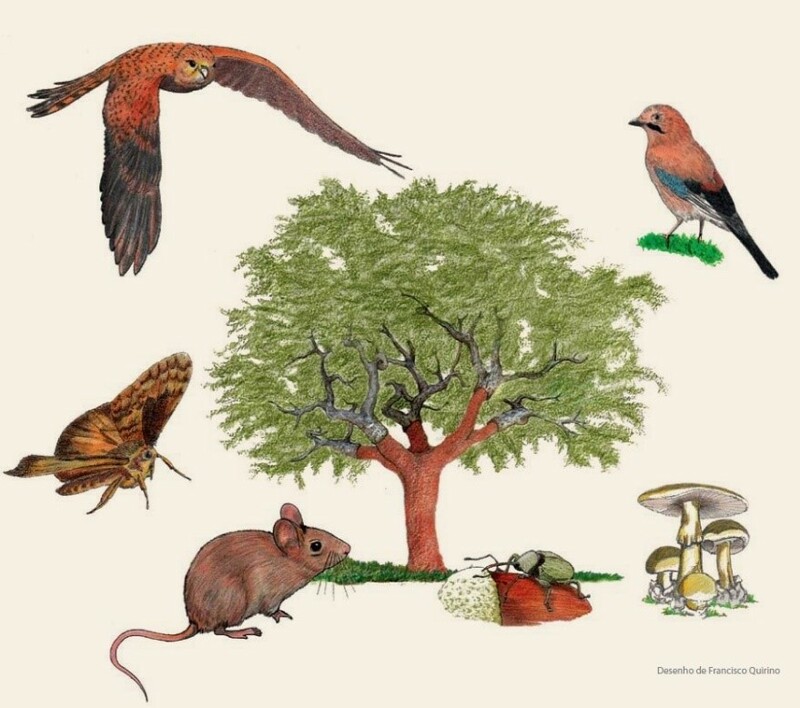 The cork oak, the key species of the montado, is at the base of the food chain, which includes insects that feed on its leaves, to the birds that prey on these insects. The heterogeneity caused by the cork oak canopy gives the system vertical diversity, but also horizontal density, which favours various species of wild fauna and flora due to the niches it creates: differentiated characteristics of microclimate and soil fertility between the areas under the influence of the canopy and the open spaces. Although managed as agricultural/forestry/pastoral systems, with a conditioned multifunctionality, they are comprised of native vegetation. The areas of natural pasture of the montados are very rich in different plant species, with more than a hundred being recorded in plots of 0.1 hectares. The montados also create safety coverage, and nesting and feeding grounds for several species of fauna, some with protection status.